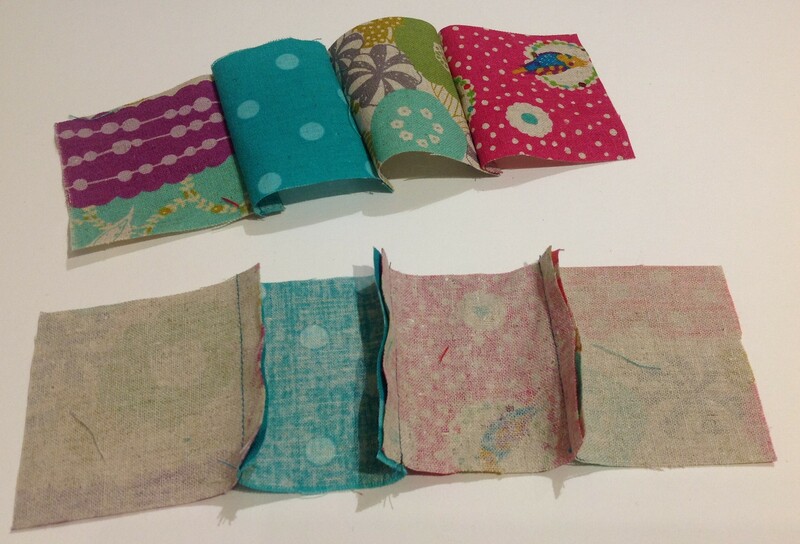 With rights sides together, sew 8 squares together along one side (this is just quicker than sewing them individually). This gives you four sets of two squares joined together. 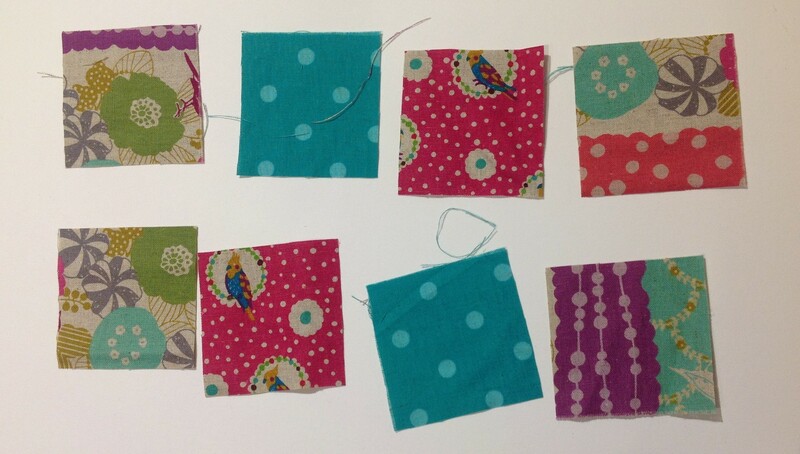 Take two and sew them together (right sides together) to form a strip with 4 squares. Repeat with the remaining two. Make sure your patterns alternate. Press the seams flat. 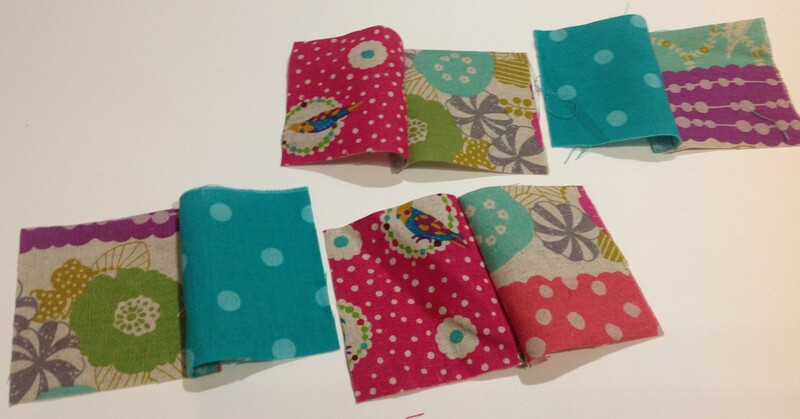 Then sew the two strips together, right sides together – leaving an opening at one of the short ends. Trim the corners. 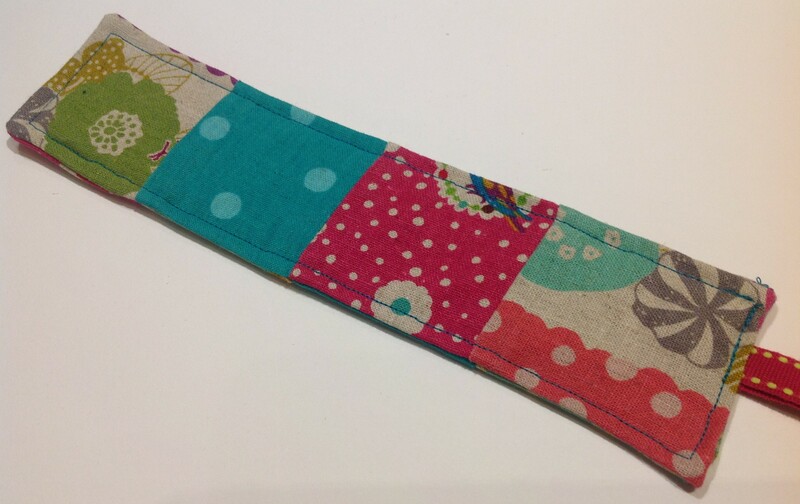 Turn ‘right side out’ and insert the interfacing (trim it down if it’s a little too big). Press and turn in the open seam. Stick something pointy into the corners to make them sharper. Insert a folded piece of ribbon into the open end, then top stitch all around your bookmark – which will close the opening and secure the ribbon. Ta da!! A finished bookmark!